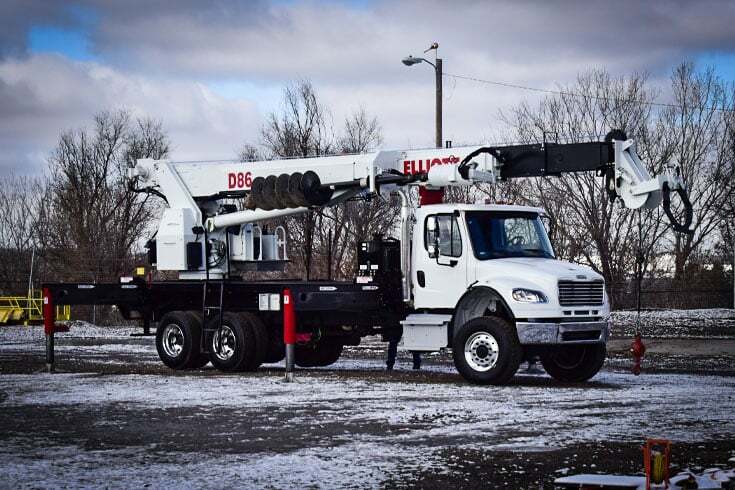 Elliott Equipment Company is excited to introduce the D86 Digger Derrick. 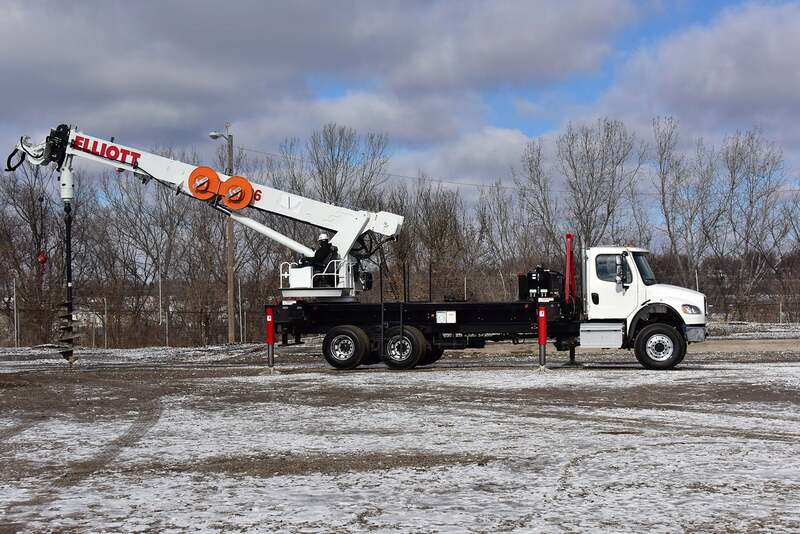 The D86 is specifically designed for utility transmission line construction and maintenance work. 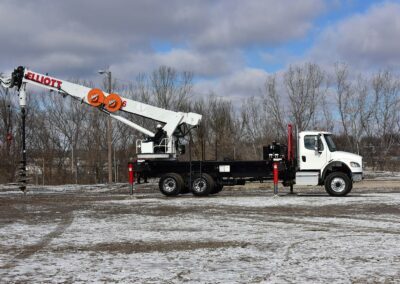 Mounted on a tandem axle chassis, the D86 Digger Derrick boasts a 86’ sheave height, 20,000 ft-lbs of digger torque, and a 41’maximum digging radius. 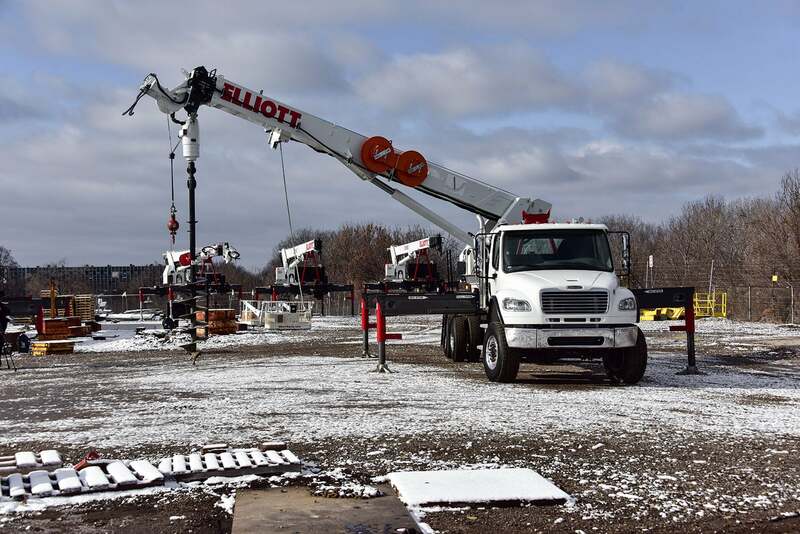 The unit is equipped with Elliott’s high pin point geometry allowing for maximum power out of the hole, a heavy-duty piston pump, and an ergonomic seated control console. 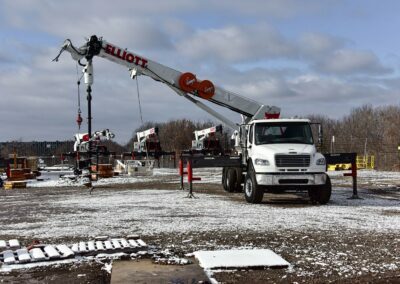 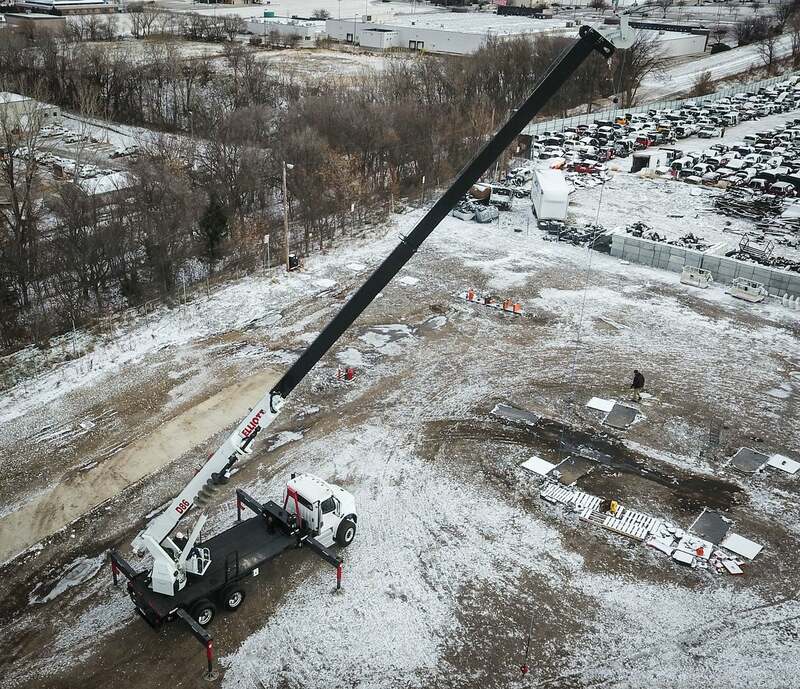 Interested in speaking with an Elliott representative about This Digger Derrick?